Even when you invest in the highest quality products they can still begin to show soiling over time. So it’s important to protect that investment if you want to keep it looking it’s best! Trust Pro restoration can help you do just that by maintaining your carpet and upholstery. Bonnet Cleaning: This is a surface cleaning for short piled carpets. Hot Water Extraction: This is a generic deep clean for all carpet types. Precondition and Rinse: This is a very deep clean for heavily soiled areas. Premier Cleaning: You will not find a more thorough cleaning than this in the industry. This is the highest level that we offer. When you restore your carpets to like-new condition, this is the option for you. Dry Cleaning: Use this option when color fastness is top priority. Professional carpet cleaning can be used for all levels of soiling in your carpets, from heavy to mild. 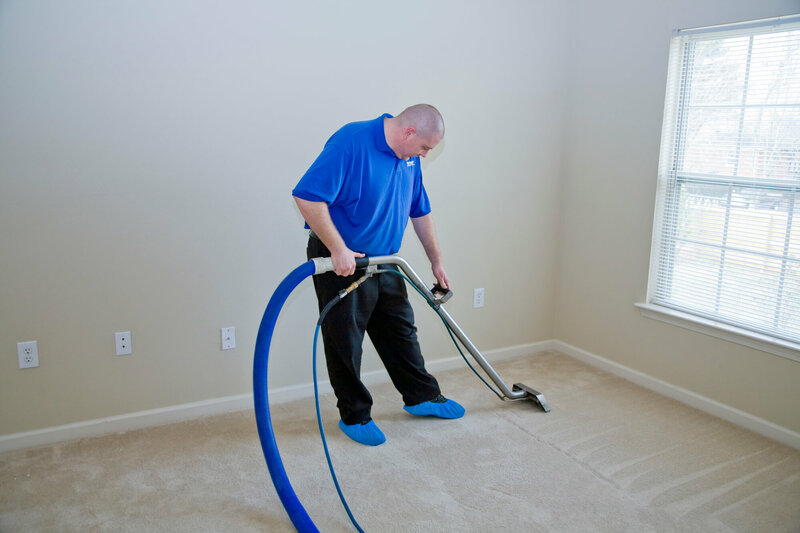 Depending on traffic, type and color of carpet, and soil build up you should determine how often you’ll want your carpet professionally cleaned. Typically carpets should be cleaned no less than once a year. You want to clean your carpets before they begin to look heavily soiled. Because of the way that dirt builds in layers, If you wait until carpets look really dirty, then you are just seeing the dirt that has piled all the way up to the surface and now sits at the surface of the fibers. If they reach this point it may be impossible to fully restore to the carpets like-new appearance. Deep below the surface dirt has been firmly lodged deep into the crevices down near the base of the pile. Don’t wait till your carpets are at this nearly irreversable state to have your carpets professionally cleaned. We guarantee that our Trust Pro Restoration experts will have your carpet and upholstery looking its best! Our experienced and trained professionals are ready to serve you with our state-of-the-art equipment. Don’t hesitate, call today!